"This would mean that the past four years ? 2015, 2016, 2017 and 2018 ? 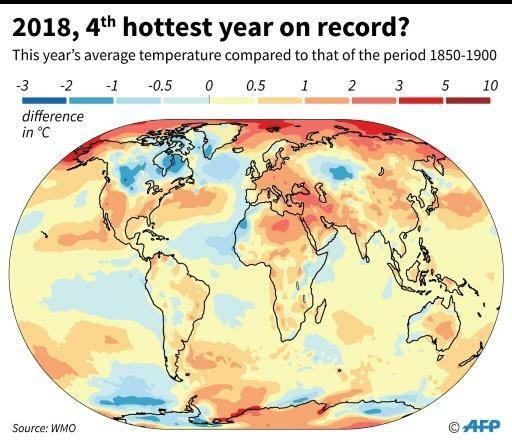 are also the four warmest years in the series," the UN agency said in its provisional report on the state of the climate this year.